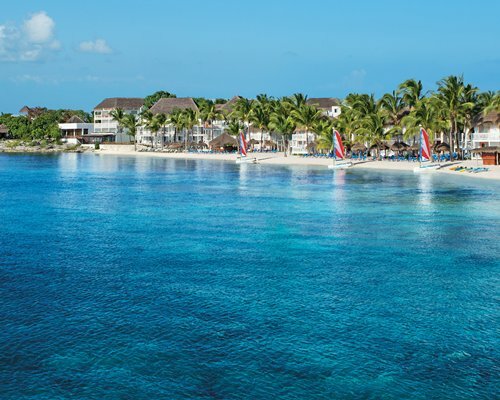 Regency Club @ Sunscape Sabor Cozumel is in a vibrant land steeped in rich history. An island whose beauty stretches far beyond its spectacular shores. A world-famous dive site. A tranquil oasis, abundant with warm welcomes around every corner. Cozumel is a destination like no other. And you'll just have to take our word for it. Because it's impossible to imagine, until you've been here. Enjoy the superb beach that stretches 2000 feet along the entire length of Regeny Club. Snorkeling and water sports are available free of charge. The resort features two versatile swimming pools conveniently located for your fuller enjoyment. Each and every one of the 402 hotel guest rooms at the all-inclusive Wyndham Cozumel Resort & Spa has either a private, fully furnished patio or terrace. While at the adults-only resort, choose either the Garden Villa Section that's more affordable or the Sabor Section that's a bit more exclusive. What's more, Garden Villa guests pick their view: garden, partial ocean or oceanfront. All our guest rooms in the Garden Villa Section are a comfortable 350+ square feet. Punches of vivid Caribbean color complement the island style. Rooms in the Sabor Section are an oversized 500 square feet, and the decor features the same luscious colors. Cozumel, Mexico, is bursting with things to do. Explore the jungle in a jeep , or the Caribbean in a glass bottom boat. The scuba diving is amazing here. In fact, Cozumel is one of the world's foremost diving destinations. You might just see the elusive sea horse but certainly you'll encounter lots colorful sea life along the Great Mayan Reef. In fact, it's the second largest reef in the world. Enjoy these creatures from the comfort of a glass-bottom boat or even from a submarine. Tour the jungle on horseback, ATV or in a jeep. The island is dotted with Mayan ruins, and they truly are a must-see.